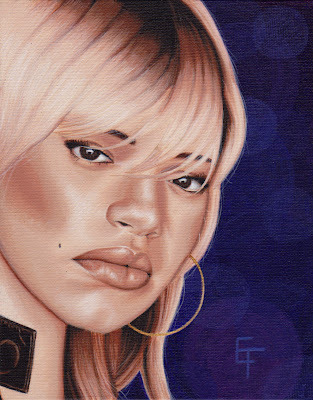 what we have here is a painting of Faith Evans. Its a demonstration painting on the importance of focusing. Having a clear clean focus is getting more and more difficult in a noise world. focus can become easy when you enjoy what you do and don't allow anything to side tract you.